Is There Enough IOT Business to Go Around? Forecasts on future Internet of Things (IOT) business opportunities are enough to give a salesperson high blood pressure. IDC forecasts a Compound Annual Growth Rate (CAGR) of 13.6 percent from 2017 to 2022, when worldwide spending on IOT will reach $1.2 trillion. IOT Analytics offered a near-term forecast that the global IOT market will grow 37 percent to $151 billion in 2018 alone. Meanwhile, Ericssonexpects there to be 3.5 billion cellular IOT connections in 2023, growing at a CAGR of 30 percent. It may seem silly to ask the question, but will there be enough IOT business to go around, where satellite is concerned? NSR published a striking statistic this year. Cellular backhaul is a big business for satellite and teleport operators, and they are cheering on the deployment of 5G with its immensely greater appetite for bandwidth (as long as they don’t have to lose too much C-band spectrum in the process). Backhaul is supposed to be worth about $33.2 billion worldwide by 2020. Yet, satellite currently provides only 1.4 percent of all cellular backhaul. Nice business, but also not much more than a rounding error in the greater scheme of things. We have to descend a long series of steps to get from the total market value numbers to what a satellite service provider will see in its top line. To start, some of the projected spending will go toward the devices in the field. Zion Market Research predicted that by 2024, the market for IOT devices will reach $158.1 billion. Another firm, Grandview Research, has identified a niche for systems that will manage these millions or billions of gadgets, and assigned it a 2025 value of $5.1 billion. No doubt there are other niches as well — including the fees that will go to companies for designing networks, procuring technology, and integrating. There is also the question of bandwidth. Say “IOT” to most people, and the mental image is of a bunch of sensors and actuators throwing off bursts of data, flowing across the internet into software to make sense of it. The internet got its name because it is a network of networks, and that is nowhere truer than in satellite. Most of the current action in satellite-based IOT is not broadband internet but narrowband — what the industry calls Maximum Segment Size (MSS). The final factor urging us to curb our enthusiasm is that IOT is a partnership game. A single IOT network implementation may require the skills and capabilities of systems designers and integrators, sensor technology firms, wireless technology firms, terrestrial network operators, satellite service providers and data analytics companies. 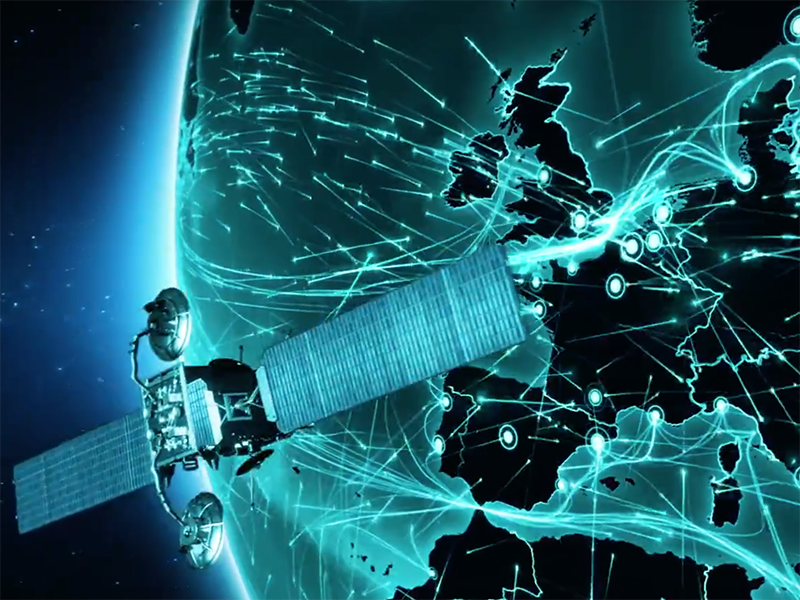 Developing, growing, and managing partnerships is going to quickly become a survival skill for everyone in the satellite business targeting the IOT opportunity. The opportunities are vast. Take just one example — the smart grid. Utilities around the world are spending heavily on remote sensors to find trouble and remote-control switches to deal with it. MarketsandMarkets published a 2018 report predicting that the market for smart grid technology and implementation will nearly triple from $23.8 billion in 2018 to $61.3 billion by 2023. While terrestrial telecom will get its share of the resulting communications, the ground-based business has a significant weakness. The same disasters that can bring down a grid will also take down terrestrial telecom. However, whatever the weather, satellites keep delivering. That is why, in the wake of natural disasters, many U.S. states have updated regulations to require that satellite be part of the connectivity mix for utility networks. There will also be opportunities to upsell from narrowband to broadband. Globecomm (now part of Speedcast) was part of the team that implemented an IOT solution for a major shipping company’s cargo containers. The IOT network delivered on its promises to the shipper, but the connectivity for it became the foundation for internet access, vessel tracking and fuel optimization applications, voice calling, and entertainment programming that is “trickled” over satellite to shipboard servers during non-peak periods. The growing IOT business will be a business of niches. Narrowband and broadband satellite networks will come into play. Applications will be able to use low-cost, low-powered terminals and smallsats in Low Earth Orbit (LEO), or will demand higher bandwidth and more robust terminals. The real challenge and opportunity for satellite operators — one that Orbcomm has already seized — is to move into the part of the IOT chain where the real value lies. That is the data analysis that turns information into actionable intelligence. It is a capability that satellite service companies can acquire or develop — or they can forever just be the folks who move bits through the sky. The post Is There Enough IOT Business to Go Around? appeared first on Via Satellite.